One of my favourite things about cooking is that once you’ve got the hang of a few basic skills, understand flavours and have a well stocked store cupboard of herbs and spices you don’t really have to plan and prep so much and can make things on a whim and mix up your recipe as you go along. 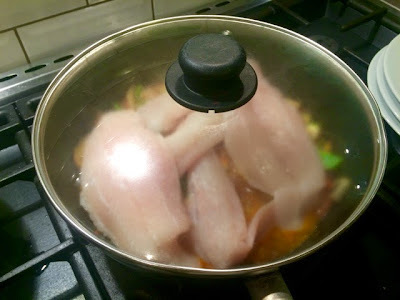 This was exactly the case when I made this fish stew on Monday night. 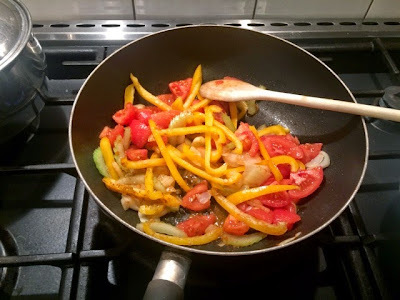 I had defrosted a mixture of white fish fillets and had a vague idea that I wanted to make some sort of tomatoey stew type dish with it, maybe with a bit of a Moroccan spiced theme, maybe a bit more of a curry… and it sort of ended up somewhere between the two. 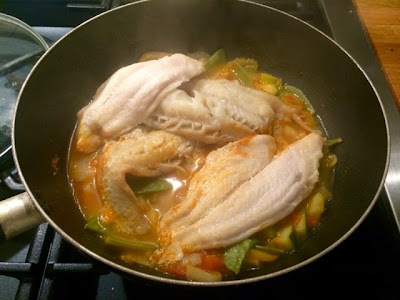 When cooking recipes with any white fish don’t feel like you have to use cod, cod can be expensive and you’ll often find great substitutes, such as pollack, are cheaper and quite often on 241 offers in the supermarket. 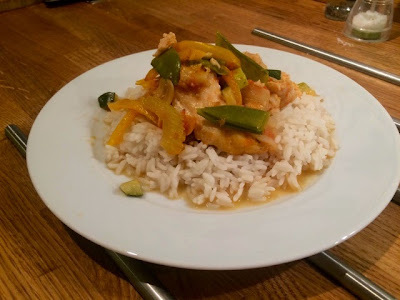 This dish has quite a mild spicy flavour to it so don’t worry about it being too hot if you’re not a spicy fan, on the other hand if you like your food to give you a bit more of a kick throw in some fresh or dried chillies. I used a selection of veg from the fridge but feel free to mix and match for whatever veg you usually buy. Aubergines would work nicely in this dish. 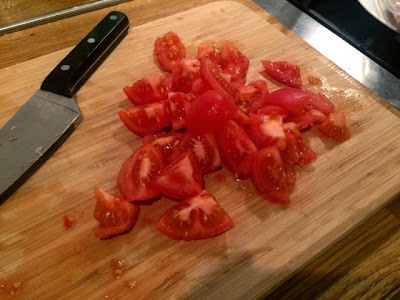 I also had a packet of tomatoes that were slightly past their best so rather than use a tin, I soaked the tomatoes in boiling water, so as to easily peel off the skins, and roughly chopped them up to be cooked down into a tomato sauce. Another ingredient you’ll notice in the recipe that is slightly different from the norm is the mixed peppercorns. The Boyfriend bought me a grinder of mixed peppercorns one time when we were cooking peppered steaks to make them a bit more exciting. I’d never really considered veering away from my usual black or white pepper as it always does the job, but with bits of pink peppercorn, green and pimento thrown in there, when you’re really making a feature of the peppered flavour (as with our steaks) using the mixed peppercorn grinder really gives it an extra level of flavour. 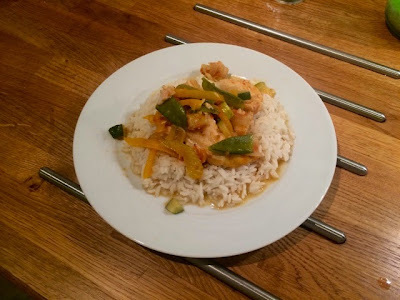 I also like to using the mixed peppercorns in curried or spicy dishes as it just that bit of an extra kick to the dish that you don’t get with plain old black pepper. 1. If you’re using fresh tomatoes as opposed to tinned for this dish, go ahead and prep these first. This will work best if they’re a bit soft and passed their best. Soak the tomatoes in boiling water for around ten minutes and then the skins should peel off easily, then roughly chop them. 2. In a large pan begin by gently frying the onion and celery in a little oil on a medium-high heat. When these have begun to soften throw in the peppers, garlic, all of your spices and the tomatoes and continue to cook until the tomatoes begin to go mushy and start to turn into a liquidy sauce. 3. Add the water as well as the remaining veg. (Note if you’re using tinned tomatoes you won’t need all this water as that’ll be way too much liquid, however add a splash or two if your stew is looking a little dry) Season well with salt and pepper. 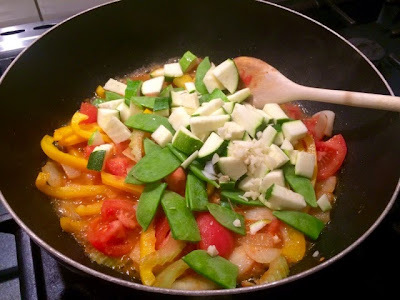 Cook until green veg starts to soften. Allow the liquid to reduce by about a third. 4. 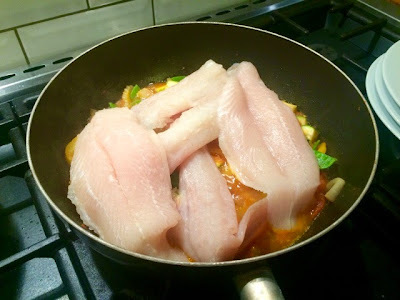 Season your fish fillets and gently lay on top of the vegetable stew. Cover and leave to steam for about 10 minutes or until the fish is cooked. 5. 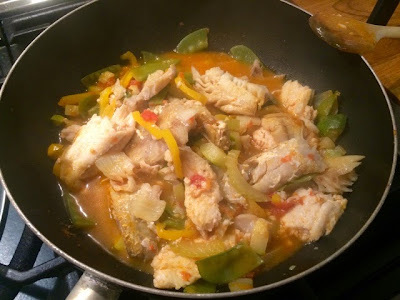 When the fish is cooked break it up into chunks and mix in with the rest of the stew. 6. Serve with rice and plenty of sauce.